The Bailey Model 6044 Hand Assembly Device is designed to simulate everyday work motions. This table top vocational rehab device is composed of 102 parts. 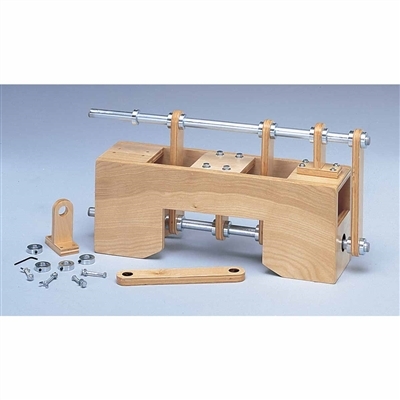 The Bailey Model 6044 Hand Assembly Device is designed to simulate everyday work motions. This table top vocational rehab device is composed of 102 parts designed to include activities using bolts, washers and nuts that require either hand, end-wrench or allen-wrench tightening. An invaluable aid for testing, evaluating and conditioning for individuals in work hardening and industrial rehab programs.